“Staypuff marshmallow chic,” haha! You look great. 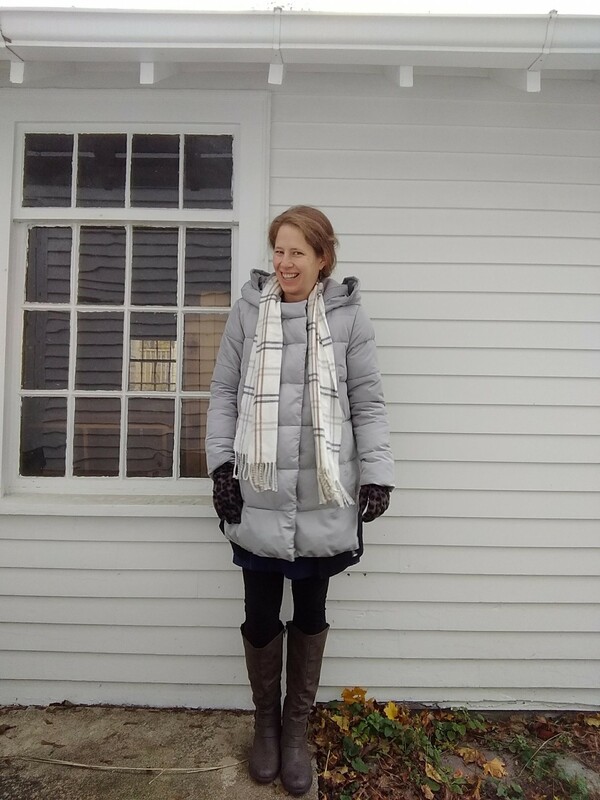 It doesn’t get cold enough in central Virginia to warrant really warm coats. My warmest coat is a classic, wool, peacoat in black, which works well around here. Sounds perfect! When I lived in Georgia I loved having just a wool peacoat (mine was red). 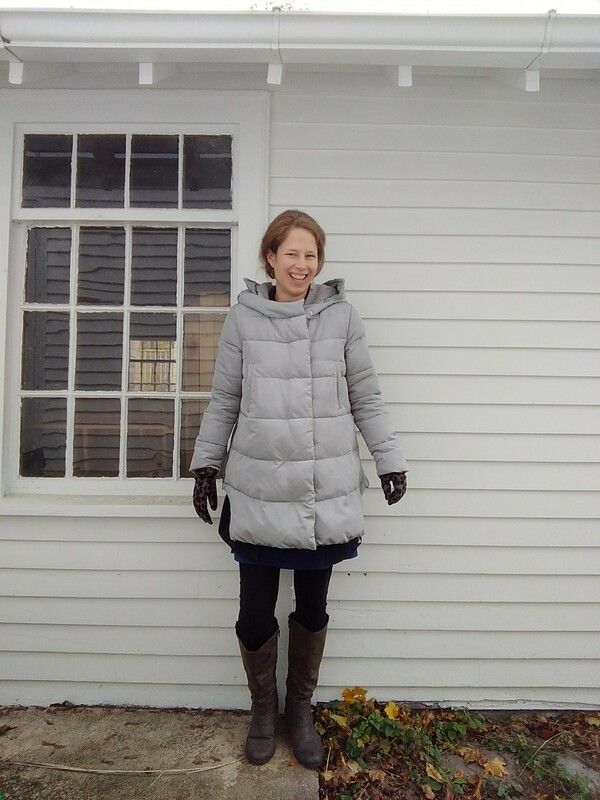 I felt like I needed a whole new coat education when I moved to New England. 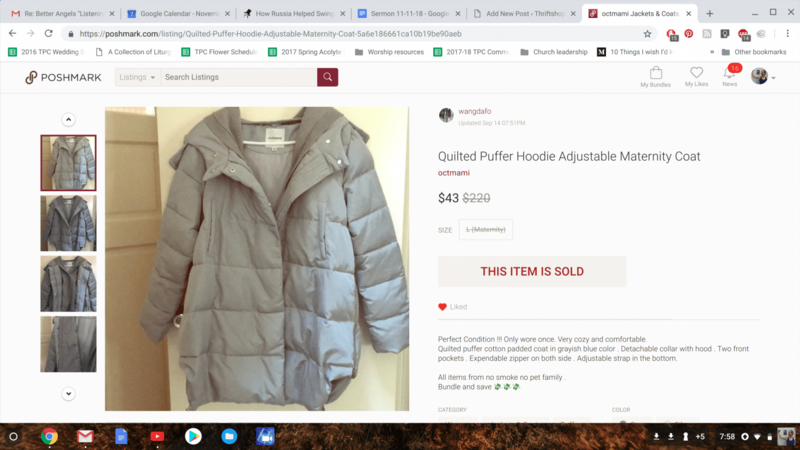 Thrift prices for coats here are definitely higher since they’re more in demand! Wow!That is a great coat! It is such a wonderful feeling when you score a total victory win like this. The scarf adds the perfect accent. I especially like the way the coat has zippers and ties to make it a bit more form-fitting, not bulky. The fashion (and thrift) stars aligned for this one!